In London, nine giant wands now stand outside London’s St Paul’s Cathedral – as Warner Bros. presented an iconic new installation supporting J.K. Rowling’s charity, Lumos. Here’s what happened at the grand opening – and yes, it did include a bit of spell-casting! 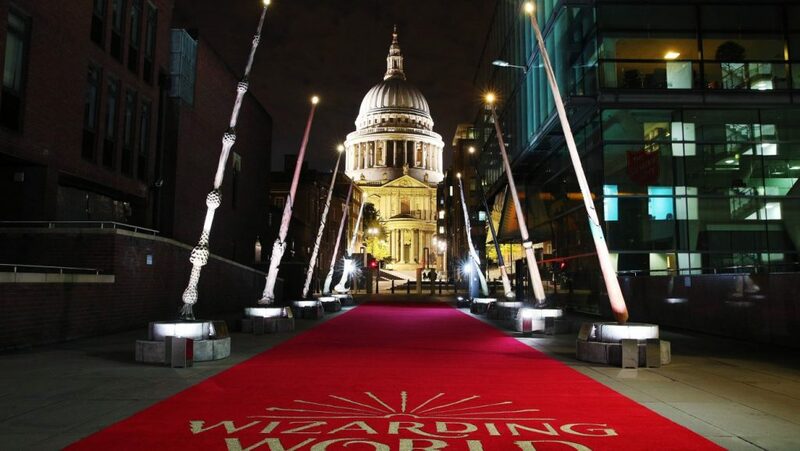 A huge new installation, as part of the City of London Arts Initiative for public art, has just opened in London – entitled Fantastic Beasts: Wizarding World Wands supporting Lumos.